Heavy snow New York - New England: 1 - 2 feet of Snow expected. 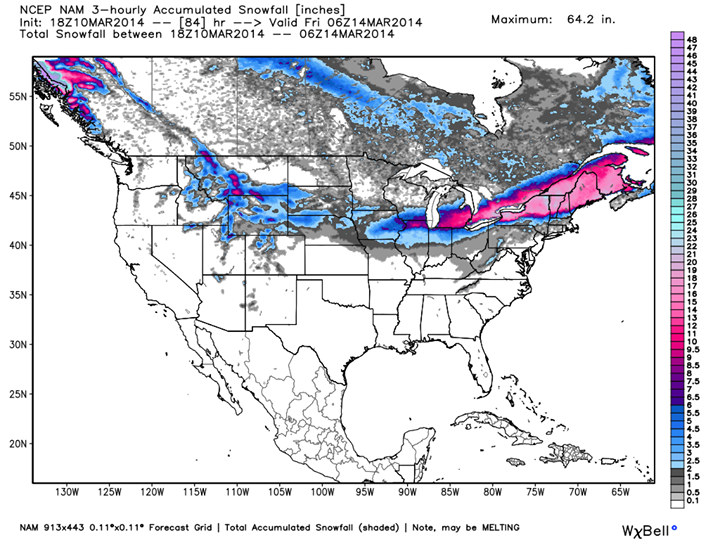 Heavy snow New York - New England: 1 - 2 feet of Snow expected Wednesday. Winter storm warnings from Kentucky to Maine. The Northeast will see over a foot of snow, and heavy rain and across much of the south. Snow totals could exceed 2 feet in northern New England through Thursday. Lakes, and will be 10 to 15 degrees above average for the Mid-Atlantic.